Conditions remain tough for developers in kicking off new projects, with slow pre-sales rates making it harder to reach high financier pre-sales hurdles, particularly for larger development projects. JLL’s state residential apartment market report shows there were 40,800 apartments under construction at the end of the fourth quarter last year, this figure down from 44,300 at the end of the third quarter for 2018. Australian head of residential research for JLL Leigh Warner anticipates the challenging conditions in Australia’s largest apartment markets to linger over at least the first half of 2019. “The bottom line is that it will remain very difficult to get new projects started for quite some time yet and there is even a risk that supply will fall too sharply,” Warner said. Latest ABS building figures show apartment approvals declined by 18.8 per cent in December, following an 18.3 per cent drop in November. But there is an upside. Warner says supply has peaked and it is expected to fall sharply this year. “While underlying demand growth is still strong due to robust population growth, this will help re-establish equilibrium relatively quickly in our view,” Warner said. 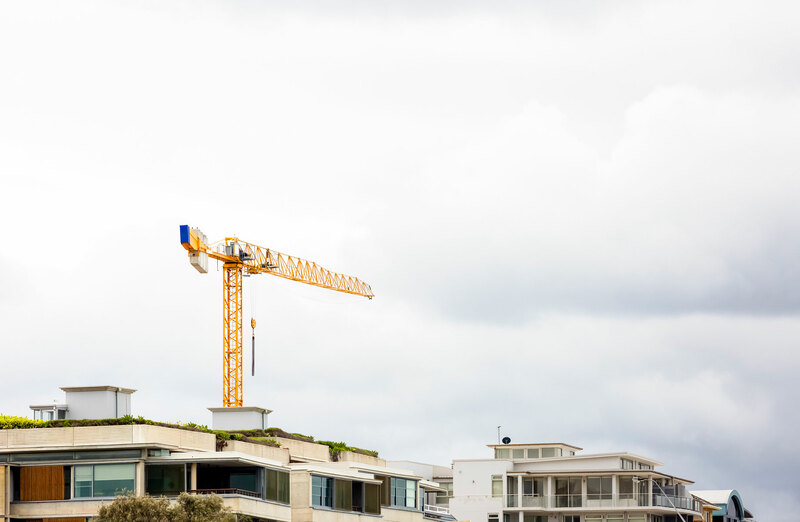 Inner Sydney’s apartment construction cycle peaked in 2018 following strong completions of 2986 apartments in the fourth quarter of 2018. The report shows total apartment completions reached 10,488 units for the year. While Sydney and Melbourne markets are yet to reach the bottom, leading the cycle is Brisbane's market which Warner describes as "stabilising". Looking ahead the report notes the supply line is subdued with approximately 3500 - 4500 units per annum expected between 2020-to-2022. “Sydney City is expected to experience less residential development activity going forward, particularly in the CBD area. This is in part due to pre-sale hurdles becoming more difficult to achieve in the area as investor demand has fallen sharply,” the report notes. 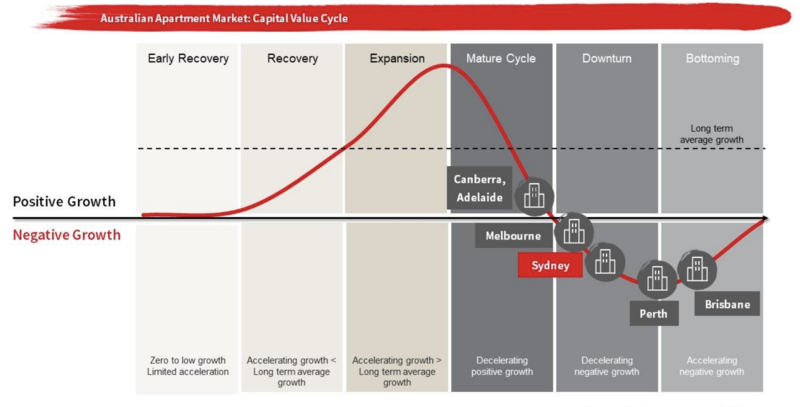 While the outlook for 2019 appears to remain a falling market, JLL expects conditions to stabilise and “head towards recovery by year-end”. In the fourth quarter of last year, 17,900 apartments were under construction, concentrated in the Melbourne City precinct. Victoria’s economic conditions have remained solid despite the residential market slowdown. 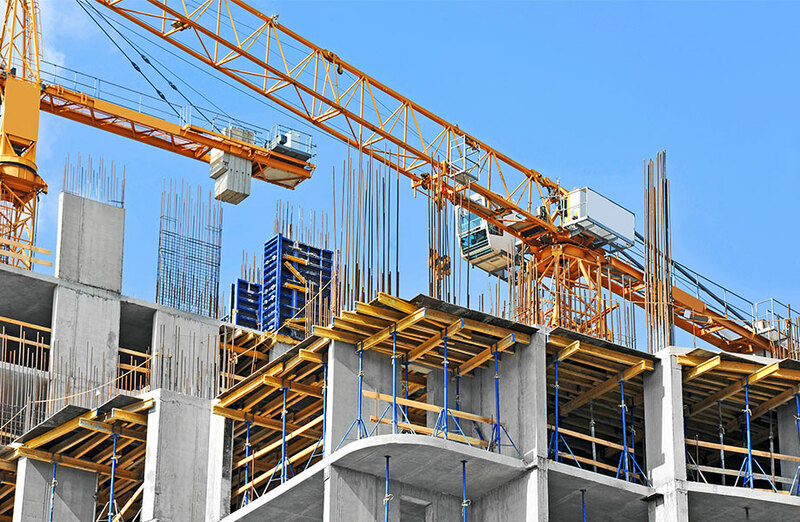 “A strong pipeline of infrastructure projects and commercial development will somewhat support the construction sector as residential supply falls. The report anticipates a further cooling in apartment prices in 2019. “There is a strong pipeline of approved apartment projects in inner Melbourne, many projects will not proceed as pre-sales and subsequent development funding remain difficult to obtain. Related: Banking Royal Commission: What Does It Mean For The Housing Market? Australia's high-rise apartment supply has peaked with completions this year expected to drop by almost one-third to 16,000, JLL says. Across the areas monitored in the five major capital city markets, the JLL supply data suggests around 23,200 apartments were completed in 2018. “And this is likely to fall by around 31 per cent to around 16,000 in 2019,” the report notes. Warner says Perth’s weak rental market is now improving, but prices are still declining, while Brisbane apartment prices appear to be stabilising. “In contrast, Adelaide and Canberra are behind in the cycle and are slowing after a relatively strong run,” Warner said.